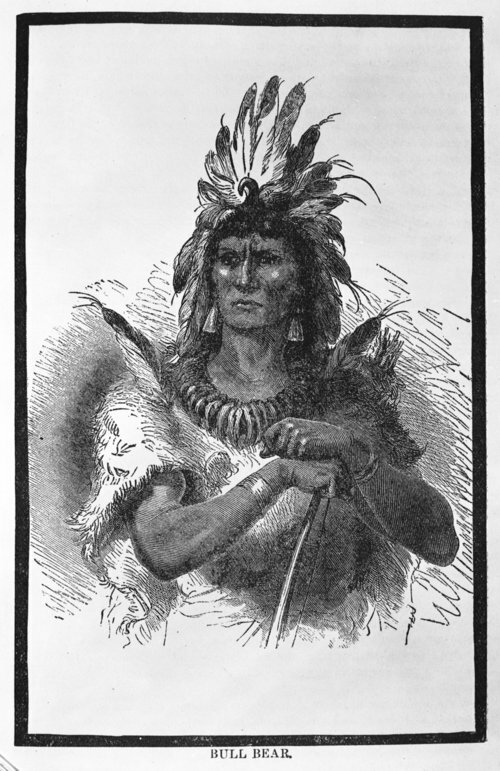 This is a photograph of a drawing of Chief Bull Bear of the Cheyenne. This image is taken from "Wild Life on the Plains" written by George Armstrong Custer. Funds for digitization provided by Mr. Steve Peckel in memory of William Chalfant.